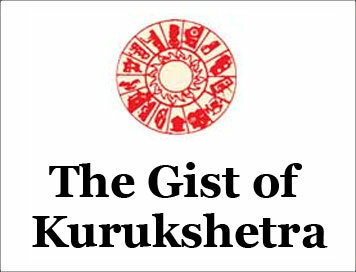 (The Gist of Kurukshetra) FINANCING RURAL HEALTH CARE [NOVEMBER-2018] | IAS EXAM PORTAL - India's Largest Community for UPSC Exam Aspirants. The health sector, one of the vital dimensions of human development, falls primarily in the domain of federal state Governments as per the Indian Constitutional assignments. There is a strong and positive association between public expenditure on health and the per capita incomes of the people. Enhanced public spending on health increases social welfare of the citizens and develops human capital. The delivery of health services in India, however, is yet to improve itself, particularly in rural areas, as it lacks quality health facilities and human resources, financial limitations, absence of health awareness. The framework of Government of India’s fiscal responsibility legislation and that of the States restricts vigorous pressing for public expenditure on health service financed by respective government deficits and public borrowings. Thus, efficient and effective health services financing within the fiscal responsibility framework is the need of the hour. In this context, an attempt is made here to look into the Government’s of recent commitment and efforts for ensuring ‘Health For All’. India’s rural health care delivery is characterized by a three-tier system. At the lowest level are the Sub-centres with each covering a population between 3,000 and 5,000. The second tier is Primary Health centres a population of 20,000 to 30,000 and the third tier is Community Health Centres with a population of 80,000 to 1,20,000. While SCs are the most peripheral and the first contact point between primary health care system and the community and are responsible for bringing about behavioral change and providing services in relation to maternal and child health, family welfare and nutrition, immunization and control of communicable diseases, PHCs are the first contact between the village community and the medical officer. The PHcs are the main catalytic and vital organs to ensure the government’s vision of health for all. As on 31st March 2017, there were 1,56,231 Sub-Centres, 25,650 PHCs and 5,624 CHCs operating in India. The SCs, PHCs and CHCs have increased in numbers between 2005 and 2017. India has witnessed significant progress in achieving health outcomes in the last two decades. However, various key health indicators viz. Infant Mortality Rates (IMR), Life Expectancy, Malnutrition and Maternal Mortality Rates (MMR), etc. have remained below the satisfactory benchmark level and have not kept pace with the overall growth in the country’s Gross Domestic Product and Gross National Income. Out of Pocket spending on Health Expenditure (% to total Health Expenditure) 62.4  50.0 Raising public health expenditure to 2.5% of GDP Positive and proactive engagement with the private sector to achieve national goals. Financial and other incentives for encouraging the private sector participation. Investment in health, organization and financing of healthcare services. Prevention of disease and promotion of good health through cross-sectoral action. Ensuring access to technologies, developing human resources, encouraging medical pluralism, building the knowledge base required for better health, financial protection strategies and regulation and progressive assurance for health. Reorienting and strengthening Public Health Institutions across the country, so as to provide universal access to free drugs, diagnostics and other essential healthcare. Achieving significant reduction in out of pocket expenditure due to healthcare costs. Ensuring voluntary service in rural and underserved areas on pro-bono basis by recognized healthcare professionals under a ‘giving back to society’ initiative. Health forms an integral part in the overall socio-economic development of the nation. Compared with other developing nations, the health status of India is still lagging behind in adequate public spending on medical, public health and family welfare. The gap is also quite sharper amount in relatively economically backward states within the country. Considering the importance of health infrastructure status and the national health goal targets, the government has initiated various reform measures to augment spending on health care through specific purpose transfer to the States by allocating grants under various health care schemes. A review of budgetary allocations under the Ministry of Health and Family Welfare indicates that Health and Family Welfare indicates that health care schemes got a paltry 2 per cent hike in its 2018-19 budgetary allocation vis-à-vis the Revised Estimates of 2017-18. National Rural Health Mission-that caters exclusively to the rural health care delivery got Rs. 1,179 crore less in 2018-19 over 2017-18. Union Budget 2018-19 underscored renewed importance to universal health care delivery to realize India’s demographic dividend. It announced ‘Ayushman Bharat’ programme for making path breaking interventions to address health holistically, in primary, secondary and tertiary care system covering both prevention and health promotion. Keeping in view the recommendations of the national health Policy, 2017, the Budget earmarked Rs. 1,200 crore to finance 1.5 lakh Health and Wellness Centres to revolutionise India’s health system by bringing health care system closer to the homes of the needy. These centres are required to provide not only comprehensive health care, including for non-communicable diseases and maternal and child health services, but also to provide free essential drugs and diagnostic services. Considering the ever-increasing out-of-pocket expenditure on health by lakh of families for indoor treatment in hospitals, the government decided to launch a flagship National Health Protection Scheme to cover over 10 crore poor and vulnerable families providing coverage up to Rs. 5 lakh per family per year for secondary and tertiary care hospitalization. The present government has prioritized expenditure on health care delivery through one of its laudable innovative schemes- Ayushman Bharat aiming at enhanced productivity and well-being of the people. The health care budgetary support to the existing initiatives and innovative schemes may not be adequate keeping in view the health needs of the citizens and the country’s performance in achieving mandated health outcomes under Millennium Development Goals. A recent estimate indicates that the public expenditure on health care in India is 1.4% of the country’s GDP whereas the world average is 6%. The primary health care yields better health and development outcomes at much lower cost. The health outcomes of rural areas such as IMR, Under Five Mortality Rate (U5MR), TFR, etc. are relatively poor as compared to urban areas and there should, thus, be continued and concerted focus on healthcare needs of rural areas.